N.B. The items below have since been overtaken by events, and are accordingly for record purposes only. 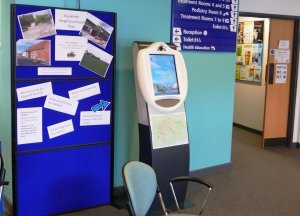 A touch screen kiosk, fondly known as the 'Dalek', is currently to be found in the main entrance at Keyworth Health Centre, and this is another means by which residents can make their views known to the Parish Council as part of the ongoing consultation regarding the Neighbourhood Plan. For more details about the Neighbourhood Plan, see below. The consultation will run from 18th July to 29th August. Click here for details, including a map of the proposed area. Neighbourhood Plan - Let us know what you think! 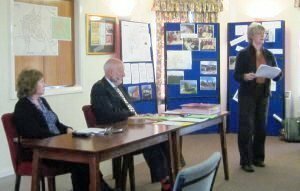 About fifty residents attended the Annual Parish Meeting on 30th April, along with Parish, Borough and County Councillors, and participated in a consultation exercise relating to the proposed Neighbourhood Plan which will entail 450 new homes in or around Keyworth by 2026 (see below for further details). 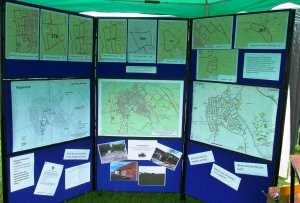 There was also lots of interest in the display at the Keyworth Show on 14th July, and members of the Parish Council's Neighbourhood Plan steering group were kept very busy answering questions. Completed questionnaires and comments forms should be sent to the office by 31st August at the latest. Please note that we cannot undertake to acknowledge questionnaires or comments forms, or letters or emails about this issue, individually, but we can assure you that your views will be taken into account. XHTML 1.0 validated. WCAG compliant. Page generated in 0.1739 seconds.